It’s well-known that exfoliating is the perfect way to revive your skin. 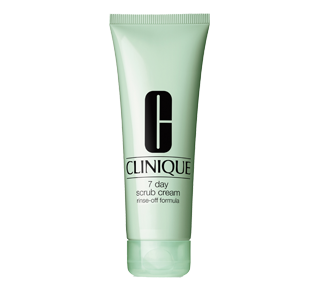 It brings a glow back to your complexion by getting rid of dead skin cells and cleansing pores clogged by impurities. Exfoliation oxygenates your skin, softens its texture and stimulates the regeneration of cells while also prepping it for your moisturizer, which will penetrate more deeply. In other words, it’s essential to a good beauty routine. And to help you choose the right care for your skin, we break down the key points below. There are two types of exfoliation: mechanical (scrubbing or gommage) and chemical (peeling). A scrub exfoliates the skin mechanically by means of friction, thanks to the abrasive particles that it contains (micro-grains of sugar, salt, bicarbonate, etc.). When rubbed against your skin, these particles polish its surface. A peel, on the other hand, exfoliates the skin chemically by means of its active ingredients. It consists of fruit acids or enzymes that dissolve dead cells. Exfoliants are only suitable for oily skin. FALSE. Skins of all types can benefit from exfoliation. In the case of sensitive or acne-prone skin, however, we recommend going for a peel rather than a more abrasive scrub. 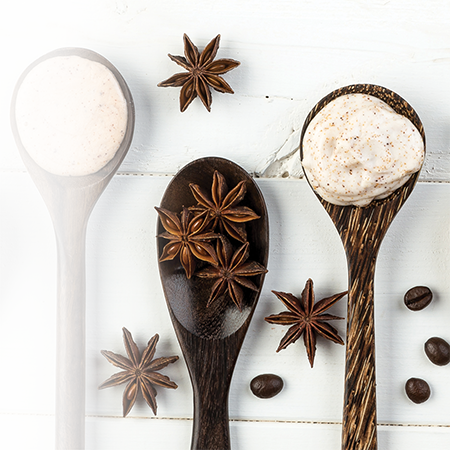 Exfoliation is only needed when the season is changing. FALSE. Dead cells, pollution and impurities are present year-round. The recommended frequency is one to two exfoliations each week. TRUE. If you do it too often, you risk damaging the hydrolipidic film that protects the epidermis or provoking an acne outbreak (caused by the skin reacting to an excess of sebum). To ensure peace of mind with your beauty routine, exfoliate your skin no more than once or twice a week. Do you have dull skin? If you want to restore its sheen, using an exfoliant is a must. Make it an integral part of your beauty routine while ensuring you follow a few simple rules based on your skin type. Scrubs are perfect for you. To avoid disturbing your skin’s natural equilibrium and prevent redness, it’s important to opt for a gentle scrub whose particles are not too abrasive. Deflakes, refines. Helps minimize the appearance of fine lines. This jojoba scented jelly exfoliates and purifies the skin. Avoid scrubs with abrasive grains and go for peels (or scrubs with ultra-fine grains) instead. We also recommend using a body scrub—for instance, to get your skin ready for hair removal. Unlike the face, the skin on the rest of your body can tolerate more abrasive grains, especially in areas of rougher skin, like the elbows. 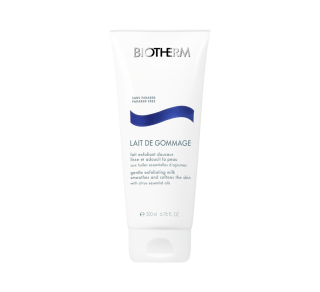 Gentle Exfoliating Milk For Dry Skin This ultra-creamy scrub with its citrus scent transforms into a milk texture upon contact with water to gently exfoliate the skin. Ideally, you want to exfoliate your face before you sleep, to give your skin time to regenerate during the night. It’s important to give your face a good wash beforehand. Exfoliant works best when used on clean, damp skin. With a scrub, friction is the key. Gently rub your skin by making small circular motions with the tips of your fingers. In the case of a peel, you should leave it on for a few minutes to give it time to act, as indicated in the instructions. Avoid sensitive areas such as the contours of your eyes, and once you’re done, rinse your face thoroughly then gently sponge it dry with a clean towel. After exfoliating, it’s essential to hydrate your skin properly. You should apply a moisturizer or, even better, use a mask. Along with hydrating your skin, this will protect it from external aggressors by tightening the pores. 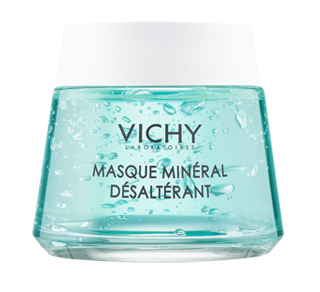 This velvety mask complements your beauty routine by immersing the skin in an intensive hydrating and nourishing bath. 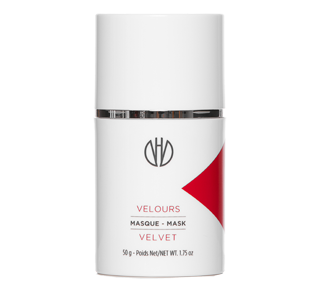 The Velvet mask illuminates and revitalizes dull and tired complexions, smoothens the skin and leaves it soft and comfortable. Leaves a soft and silky veil!